Jaguar could be joining the hybrid powertrain bandwagon. Mustafa also added that most models in Jaguar’s range focus on achieving good emissions ratings, so there isn’t an urgency to apply a powertrain to the F-Type that isn’t suitable. 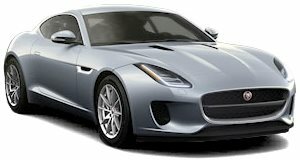 While you won’t find any current models that use hybrid technology, there is one car in Jaguar’s history that featured a hybrid powertrain. Cast your mind back to 2010, and you may remember the C-X75 Concept, a supercar that featured a hybrid powertrain developed with Williams Advanced Technology. Featuring a 1.6-liter four-cylinder twin-charged engine with a pair of electric motors, it produced a combined power output of 888-hp. While Mustafa didn’t provide a timeframe of when Jaguar sports cars are likely to adopt hybrid powertrains, it may need to sooner rather than later if the automaker is to keep up with the competition, as Porsche is possibly planning to put a hybrid 911 into production in 2020. It's a target it should meet, considering it intends to make 40 percent of its line-up comprise of electric and plug-in hybrids by that point.